Powered by our advanced dual-phase, time-release delivery system, you get a sustained boost of ingredients throughout the day. And we’ve completed our formulation with a unique blend of vitamins and plant extracts including BioPerine®, KSM-66® Ashwagandha, and Astragin®. Plus, it comes in three fruity flavours: Berry, Tropical and Blue Raspberry Lime. 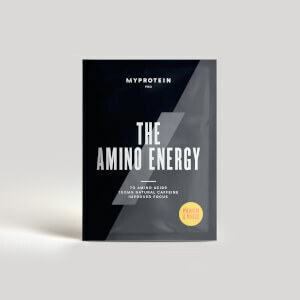 14g micronised amino acids: the unique profile includes amino acids such as taurine, citrulline, tyrosine, arginine, and theanine— helpful for all training goals. 3g PhaseTech™ L-leucine: supported by our time-release technology, leucine is an essential amino acid that must come from your diet. 2g PhaseTech™ L-glutamine: naturally occurring in our protein — helping to build and repair new muscle,4 and also supported with our exclusive PhaseTech™ L-glutamine. KSM-66® Ashwagandha: a popular Ayurvedic Indian ginseng that is used in a variety of herbal tonics. AstraGin®: 100% natural, and sourced from plants including panaxnotoginseng and astragalus membranaceous. BioPerine®: derived from the fruit of the black pepper plant, and popular in Chinese traditional therapies. 2. Vitamin C contributes to maintain the normal function of the immune system during and after intense physical exercise. 3. Vitamin C contributes to normal psychological function. Add 1 sachet (20g) to 300-400ml of water or juice in a shaker before/during/after exercise… or throughout the day for a quick amino boost. Please note our unique beadlets won’t be dissolved in your shaker but when activated by your body after consumption. What does THE Amino+ work well with? Amino Acid Blend (76%), Flavouring (Blue Raspberry, Lime), Acid (Citric Acid), Colour (Spirulina Extract, Trehalose Dihydrate (source of glucose)), PhaseTech™ Beadlets (BCAA (Leucine, Isoleucine, Valine), L-Leucine, L-Glutamine (Sodium Bicarbonate, Anti-Caking Agents (Talc, Silica, Magnesium Stearate, Ethyl Cellulose), Vegetable Oil, Purified Water, Acid (Citric Acid), Glazing Agent (Amino Methacrylate Copolymer, Isopropyl Alcohol, Methylene Dichloride), Thickening Agent (Hydroxypropylmethylcellulose), Maize Starch, Colour (E102, E129)), Sweetener (Sucralose), Anti-Caking Agents (Calcium Silicate, Silicon Dioxide), KSM-66® Ashwagandha (Withania somnifera L.) (Milk), Vitamin C (Ascorbic Acid), AstraGin®, BioPerine®. 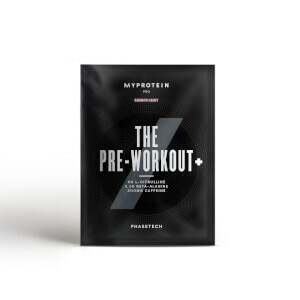 Amino Acid Blend (76%), Flavouring (Raspberry & Cranberry), Acid (Citric Acid), Colour (Beetroot Red), PhaseTech™ Beadlets (BCAA (Leucine, Isoleucine, Valine), L-Leucine, L-Glutamine (Sodium Bicarbonate, Anti-Caking Agents (Talc, Silica, Magnesium Stearate, Ethyl Cellulose), Vegetable Oil, Purified Water, Acid (Citric Acid), Glazing Agent (Amino Methacrylate Copolymer, Isopropyl Alcohol, Methylene Dichloride), Thickening Agent (Hydroxypropylmethylcellulose), Maize Starch, Colour (E102, E129)), Sweetener (Sucralose), Anti-Caking Agents (Calcium Silicate, Silicon Dioxide), KSM-66® Ashwagandha (Withania somnifera L.) (Milk), Vitamin C (Ascorbic Acid), AstraGin®, BioPerine®. Amino Acid Blend (76%), Flavouring (Tropical), Acid (Citric Acid), PhaseTech™ Beadlets (BCAA (Leucine, Isoleucine, Valine), L-Leucine, L-Glutamine (Sodium Bicarbonate, Anti-Caking Agents (Talc, Silica, Magnesium Stearate, Ethyl Cellulose), Vegetable Oil, Purified Water, Acid (Citric Acid), Glazing Agent (Amino Methacrylate Copolymer, Isopropyl Alcohol, Methylene Dichloride), Thickening Agent (Hydroxypropylmethylcellulose), Maize Starch, Colour (E102, E129)), Sweetener (Sucralose), Anti-Caking Agents (Calcium Silicate, Silicon Dioxide)), Colour (Curcuma Oil Extract), Sweetener (Sucralose), Anti-Caking Agents (Calcium Silicate, Silicon Dioxide), KSM-66® Ashwagandha (Withania somnifera L.) (Milk), Vitamin C (Ascorbic Acid), AstraGin®, BioPerine®.